On my way to the Performing Arts Museum at the Melbourne Arts Centre. It is now called the Performing Arts Collection, as the museum, which was established in 1979, no longer has a permanent exhibition space. Some of the collection is available to view online. Particularly interesting is the almost 7000 photographs that document the history of the performing arts in Melbourne. 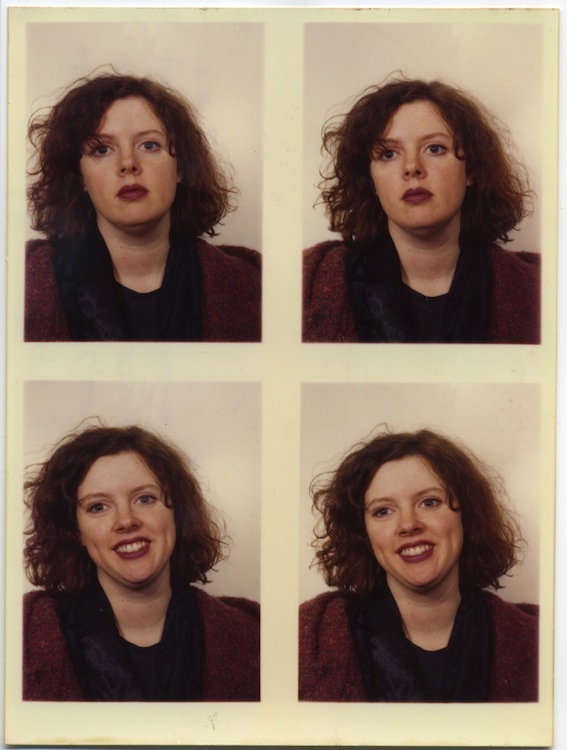 I still have the swing-coat I am wearing in this two shot colour photobooth photo. I made it while working at Liberty in London. It is incredibly luxurious, hand-woven Irish boucle wool. It is barely cold enough in Australia to wear very often, but I love it so much and did such a fine job of it, I think I will keep it forever.